Ashley is a Licensed Clinical Social Worker and a Clinical Substance Abuse Counselor with 6 years of post-graduate experience working with a variety of clients. Ashley is compassionate and relatable to her clients. Ashley approaches treatment from a biopsychosocial perspective and looks at the individual as a whole. Ashley facilitates AODA groups for clients on probation and extended supervision through the Department of Corrections. She believes that these clients are on a path to change their lives for the better. Ashley also works with clients diagnosed with mental illness and substance use disorders on an individual basis. 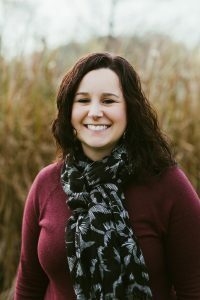 Ashley has a bachelor’s degree in Psychology from the University of Wisconsin Oshkosh, an AODA certification from Moraine Park Technical College, and a Master’s degree in Social Work, also from the University of Wisconsin Oshkosh. Ashley spent three years working with clients in a healthcare setting and also worked at Ozaukee County Human Services as a Crisis Case Manager prior to joining the Alarus Healthcare team.